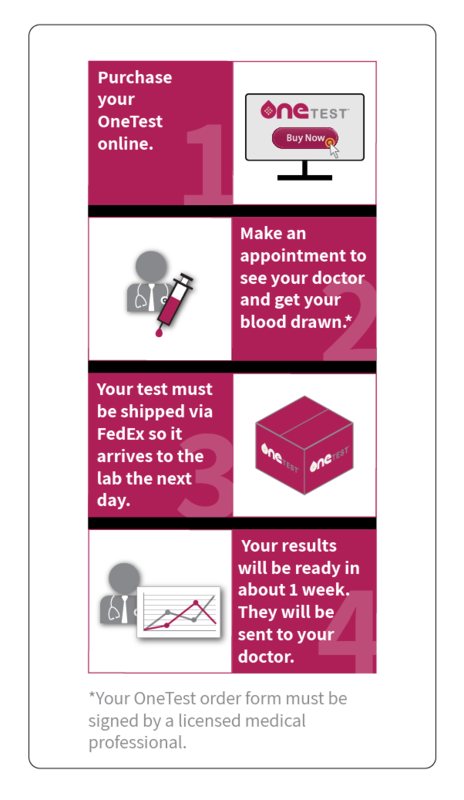 OneTest is a new blood test for multiple cancers which can help identify cancers at early, more treatable stage. 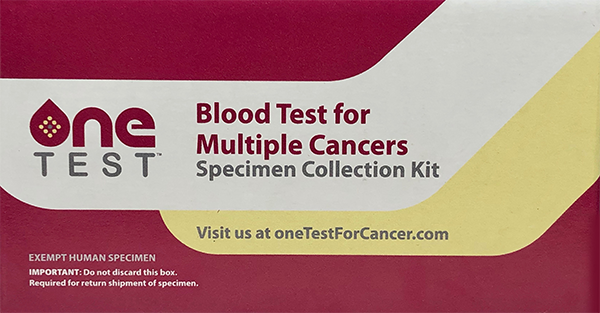 OneTest is not a genetic test. It looks at biomarkers, known as tumor markers (also called “cancer markers”) which are associated with various types of common cancers.